A fresh talent with an immediately recognizable style that Copacetic customers have gravitated towards, Jon McNaught continues to produce original, finely crafted work that will appeal to fans of Seth and Chris Ware, as well as – and perhaps more significantly – to those non-comics readers who appreciate an informed aesthetic sensibility but haven't yet been able to find what they are looking for in comics. McNaught came to comics from a print-making background and brings with him a well developed understanding of the strengths of a limited color palette. 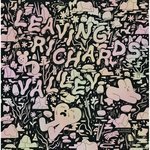 His solo works, Birchfield Close and Pebble Island, as well as his standout contribution to Graphic Cosmogony (all from NoBrow), consistently provide a meditative reflection on the passage of time – as we experience it in the moment, and in memory. His unerring sense of the architecture of the comics page and disciplined employment of the grid has enabled him to generate visual rhythms that carry the reader along. 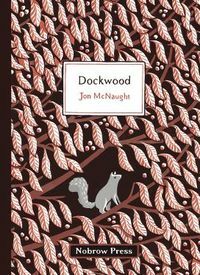 Dockwood is McNaughts's most substantial work yet (at least, that we know of), employing both the largest page size and page count among his NoBrow releases, and doing so to excellent effect. Recommended!